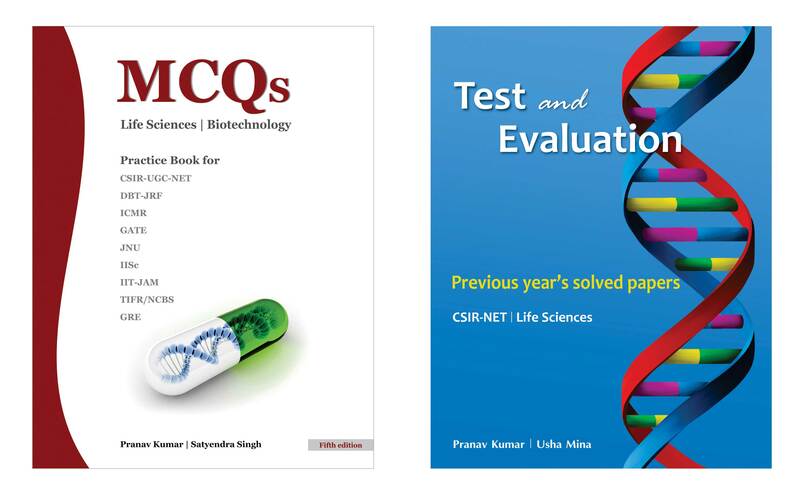 MCQs, Life Sciences and Biotechnology, an exclusive fundamentals search based package of multiple choice questions, are basically designed for students to help them revise, consolidate and polish their knowledge and skills. This book is an attempt to provide concise yet comprehensive coverage of a true concept and application based factual and synthetic questions to develop in-depth understanding of the subject and to assess and review knowledge. This book is designed to aware the students about the current trend and pattern of questions. In this book, there are two sections: Section A and Section B. In section A, the questions are kept in a chapter-wise manner and each chapter of section A is divided into topic-wise, whereas in section B questions are divided into unit-wise manner according to CSIR-JRF-NET syllabus. Both section A and B also contain selected previous year’s questions from National level examinations like CSIR-UGC-NET, DBT-JRF, ICMR, TIFR, GATE, IISc and JNU along with their answers to measure the level of understanding and their applications. Test and Evaluation for Life Sciences is designed for students to help them revise, consolidate and polish their knowledge and skills. It contains CSIR-NET previous year’s solved papers that may test the candidate’s knowledge of scientific concepts and application of scientific understandings. This book is designed to aware the students about the current trend and pattern of questions and to develop an in-depth understanding of the subject and to review knowledge. The previous year’s questions from CSIR-JRF-NET are segregated into unit-wise manner. The numerical questions of the respective unit have been solved for easy understanding.